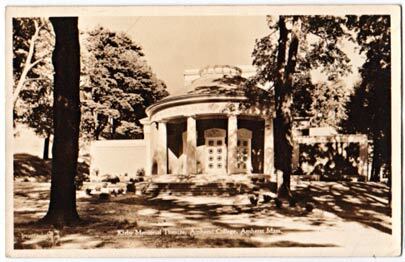 Hitchcock Hall and Valentine Hall. 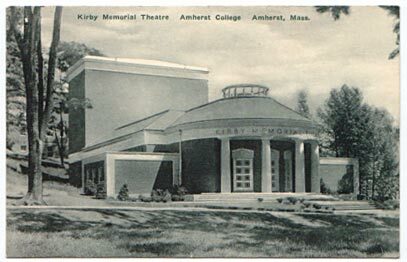 The Boyden House was moved in 1937, and the theater was built after the College secured funds from a trust fund set up by Dr. Ellwood R. Kirby, a friend of the father of Richard MacMeekin '34, a college Masquer (King, 245). Burgess Meredith, ex '31, spoke (King, 246).